This week the news is in the numbers and research findings. Quite a few of those visitors must have visited Disney World in Orlando, where traffic at the international airport soared to nearly 48 million, making it the busiest airport in the State of Florida and 11th busiest in the U.S. Page 1. 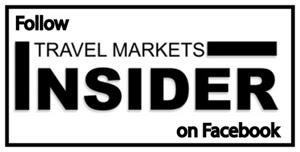 Travel Markets Insider also reports on two research studies conducted by Swiss research agency m1nd-set. It should come as no surprise that guests onboard cruise ships love to shop-they have plenty of leisure time and consider shopping an integral part of the cruise experience. Organizations such as CLIA –Cruise Lines International Association, and the Florida-Caribbean Cruise Association have been rating shopping among the top cruise activities since they started reporting expenditures. Now, m1nd-set takes a close look at onboard cruise shopping and identified significant differences between shopping habits onboard cruise ships and those of shoppers in airports. See page 2. In the second report, conducted in association with the World Duty Free Council for the latest DFWC KPI monitor, results show the growing importance of Travel Retail exclusives. Page 4. Pittsburgh International Airport revealed a visionary concept design for the $1.1 billion modernization program that was approved last week. Page 3. Vancouver International Airport announces revamped Food & Beverage and Retail options as it partners with several leading operators to introduce more than 30 new outlets over the next two years. Page 3. Congratulations to Duty Free Americas and the Falic Family Foundation, whose 5th Annual Charity Golf Tournament raised $325,000 for the children’s Tumor Foundation. More details on page 1. Rituals Cosmetics opens its first travel retail store in the Americas with London Supply. Page 2. Buckley London to unveil new charms and men’s collections at Summit of the Americas. Page 5. Cabeau promises to “change the way we think about travel” with revolutionary product launching at Orlando show. Page 5. Paul & Shark launches 2nd Nick Wooster collaboration into Travel Retail. Page 5.